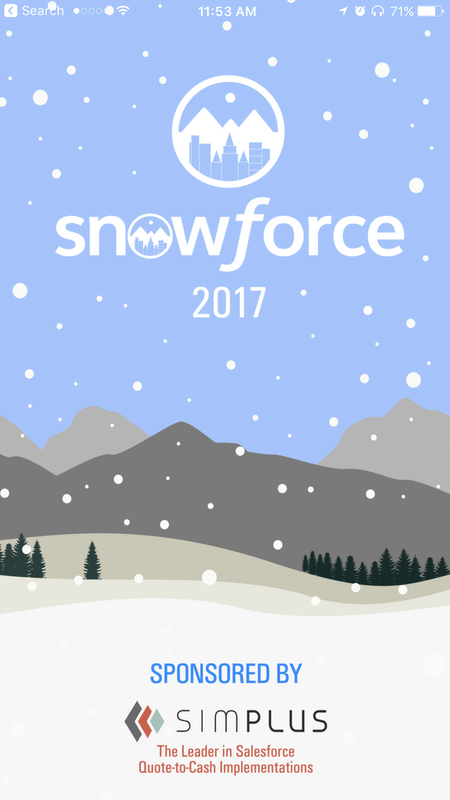 There are over 15 Salesforce community conferences now, but Snowforce is one of the oldest. Based in Salt Lake City, Utah, it has a large and growing group of loyal followers. Utah is quietly becoming the next Silicon Valley. It’s been named the Silicon Slopes, and increasingly it’s got the numbers to back it up. Don’t overlook Utah, it’s going through a tech boom, and Snowforce is a great way to network and learn from the folks who are part of it. Read on to hear about my experience at Snowforce! Checking into the conference was a breeze. Since it was downtown this year, it was a short walk from the hotel. The venue was one of the coolest I have been to. 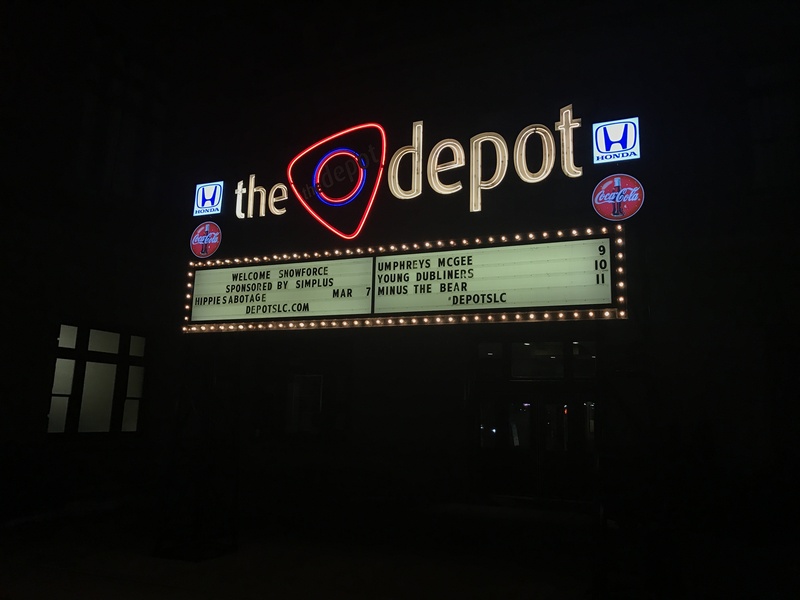 “The Depot” is a train station converted to a music venue. Hosting Salesforce rockstars in a place that hosted literal rockstars is quite befitting. TrailheaDX did something similar at the Warfield. It’s a nice alternative to traditional convention centers. Peter Coffee’s keynote was thought provoking and flawless as always. Prior to the conference he used a poll to crowdsource the topics. This meant he ended up talking the most about topics we were most interested in. Way to be customer focused! I’m still processing these important ideas. No doubt they will help my career, and maybe even help the world a little in the process. He really makes it worth getting out from behind your desk and flying across the country to expand your mind. 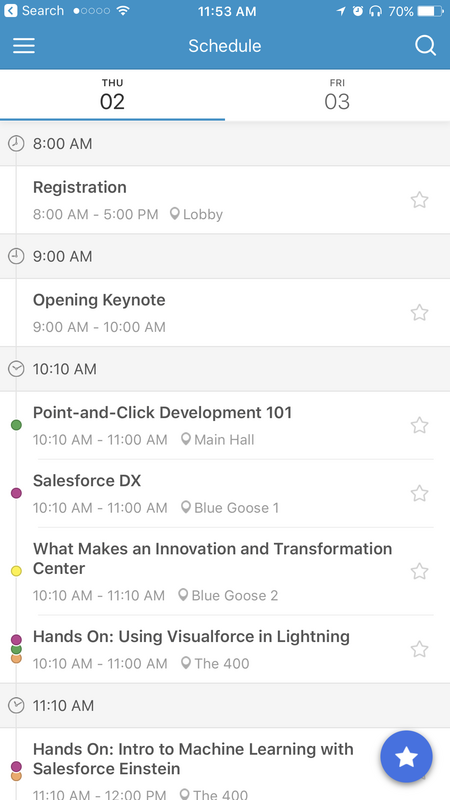 One difficulty with a conference this size is that there are 3-4 parallel sessions going on at once. Inevitably this means you will have a feeling you are missing out on the sessions you aren’t in. My advice is to accept you are going to miss out on many sessions. Be comfortable in the session you have chosen and experience the session you are in with elevated mindfulness. I think this is the first community conference I have been to that provided it’s own mobile app! This was a private social network, similar to the Dreamforce app. I saw a lot of people interacting on this who weren’t on twitter, so this makes it a valuable addition to the conference in my opinion. 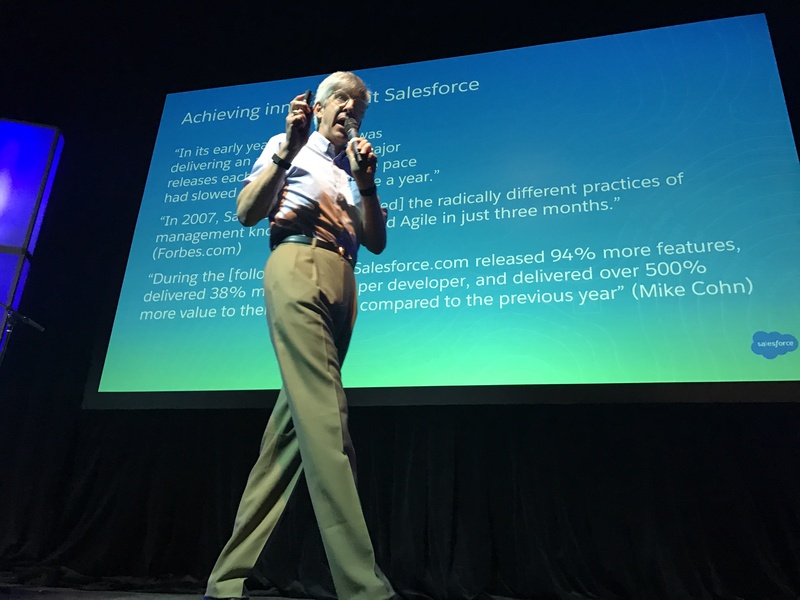 I enjoyed the SalesforceDX presentation by John Vogt and Wade Wegner. This is a massive and ever-evolving body of knowledge, so it’s important to stay informed. I especially loved Wade’s demos. 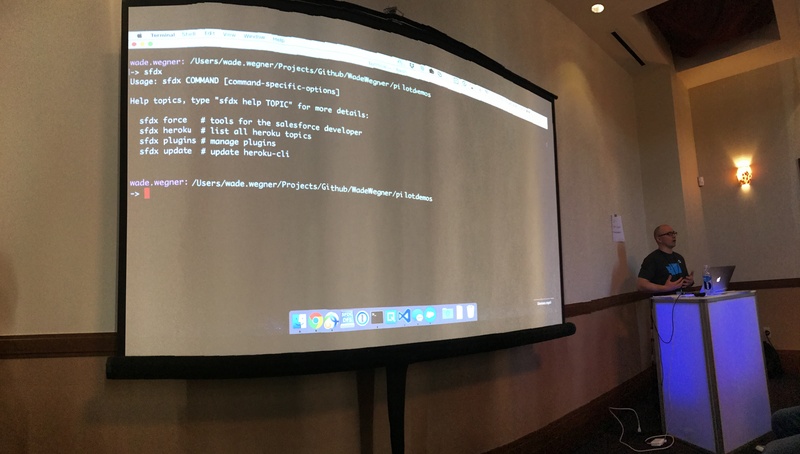 He really puts the X in DX by showing how quickly you can build apps via the new CLI tools. 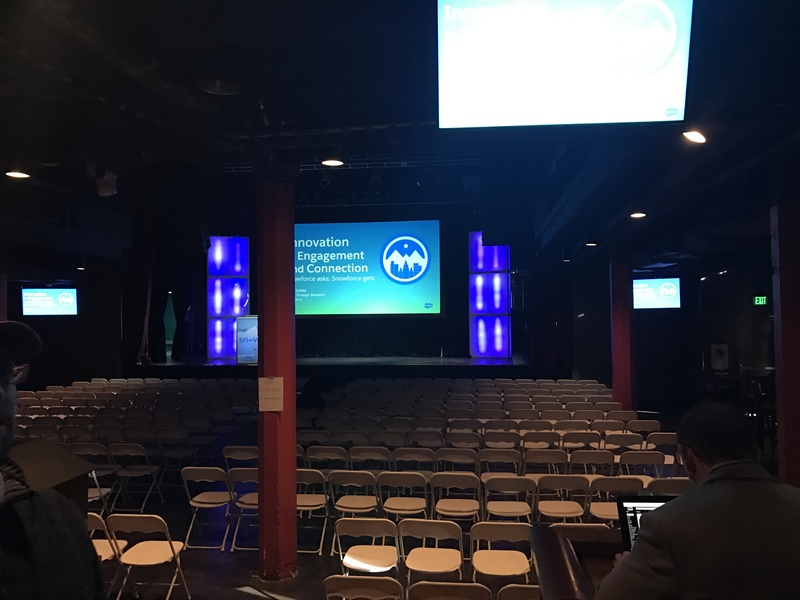 Marc Benioff even got wind of this presentation and retweeted what was going on in the room! 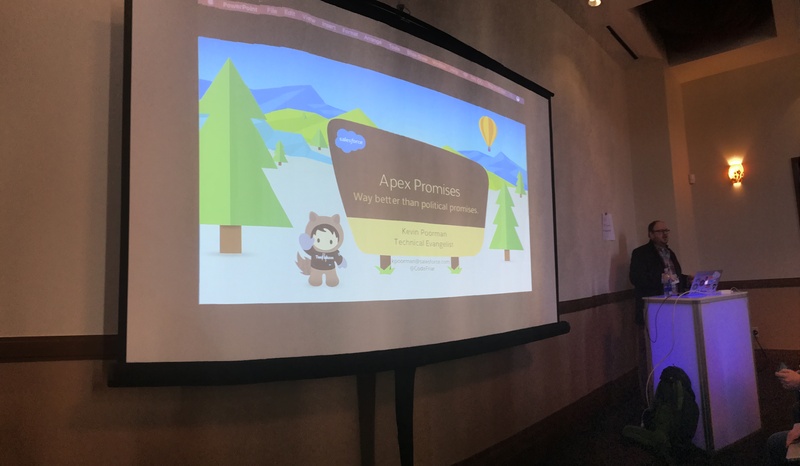 Kevin Poorman (aka codefriar) showed off his innovative “Apex Promises” project. This looks like a great architecture to build robust processes that are long running and/or use multiple callouts. The sponsors had their own room which seemed to be getting plenty of traffic. I popped in a few times and it was always packed with attendees. 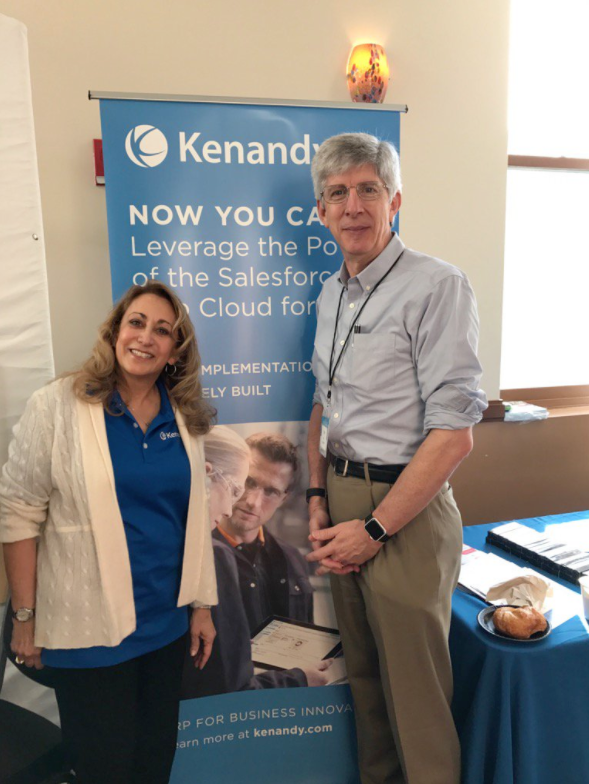 My company, Kenandy had their team in there giving away swag and answering questions about our ERP built on the Salesforce platform. 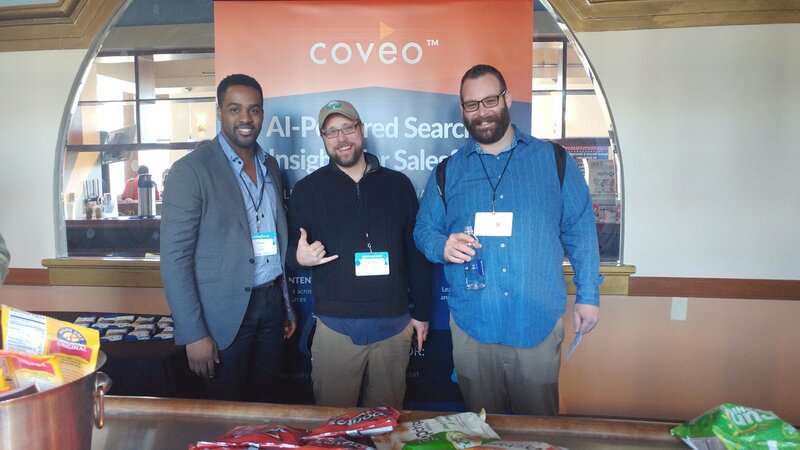 It was also great to catch up with other sponsors like Coveo, who generously helps to pay for the video production at the Bay Area Salesforce Developer Group. Lunch was included as part of the conference by gourmet food trucks out in front of The Depot. It was a little tight for space, but the food was excellent. 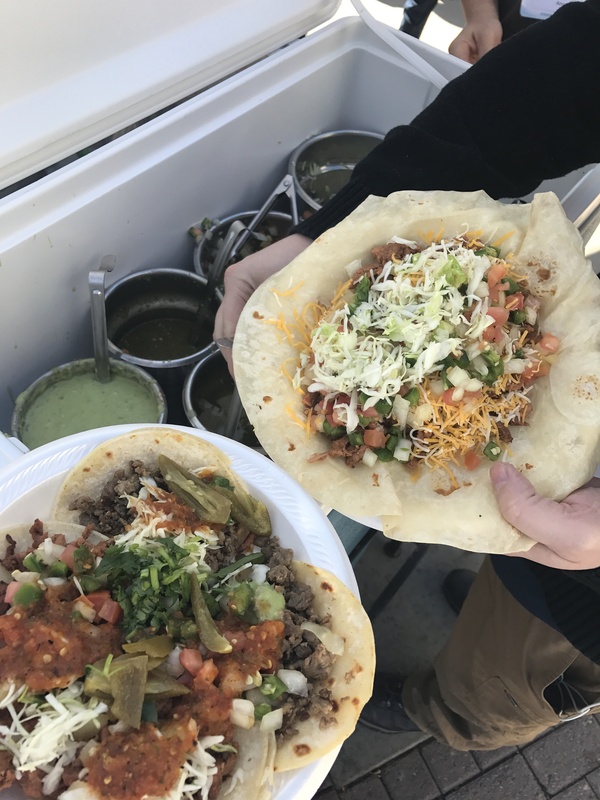 Salt Lake City has no shortage of good eats! It’s really cool being able to create your own lunch experience by perusing around the trucks and choosing whatever looks good. 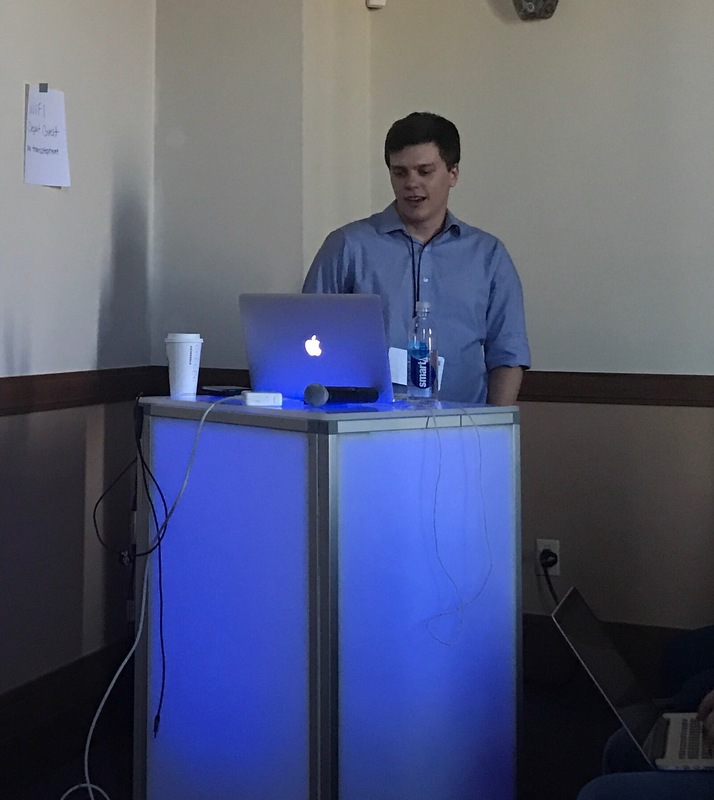 After lunch, a new Salesforce MVP, Adrian Larson presented his LimitsProfiler project. This solves a problem which is a bit of a dark art to many Salesforce Developers – performance. You can refactor code and gather data on how you have affected the performance of it. Cool! I also found out Adrian is one of a very small number of moderators on Salesforce Stack Exchange. Morgan Robertson, a Technical Architect at Eide Bailly gave a useful demo on Custom Metadata types. It was an end to end demo of a commission calculator app where the commission tiers are stored in Custom Metadata Types. The best part? All the source code is available here: https://bitbucket.org/eidebailly/custom-metadata-example. Who says work can’t be fun? 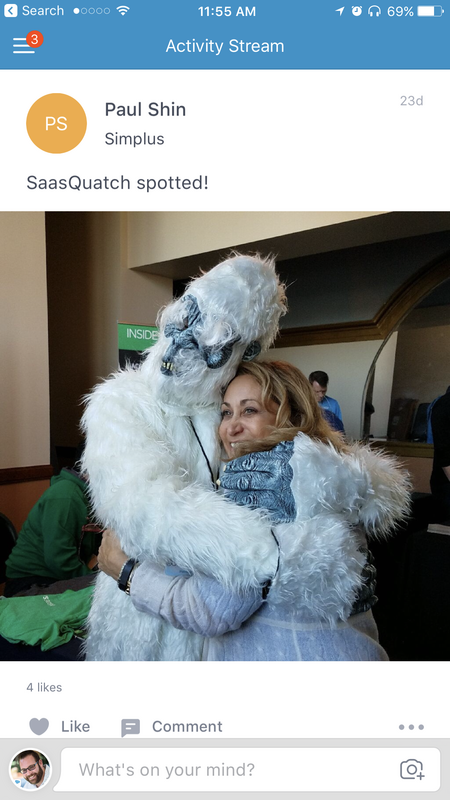 I invited the Simplus SaaSquatch to come to my session on HyperBatch and it showed up! It even had a few words for the audience. Something to the effect of “hwooo uuugh oooowah woooo uuuuah”. The ‘squatch even came equipped with some foam snowballs we got to throw around. Hopefully it learned a few things about Salesforce in the process. 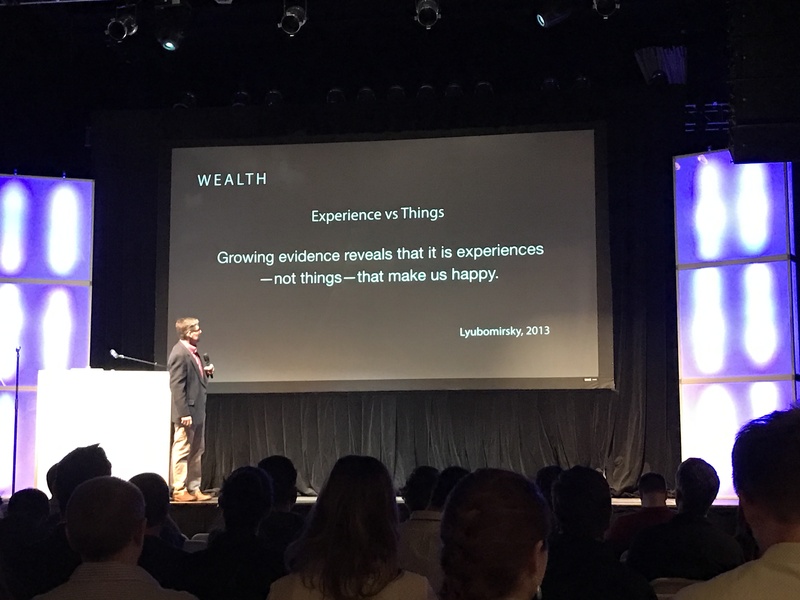 Similar to last year, Snowforce had a closing keynote packed with great life advice. Mark Widmer, Ph.D. from BYU gave us meaningful advice on how to live a great life. This focused primarily on myths and truths about how to increase your happiness. 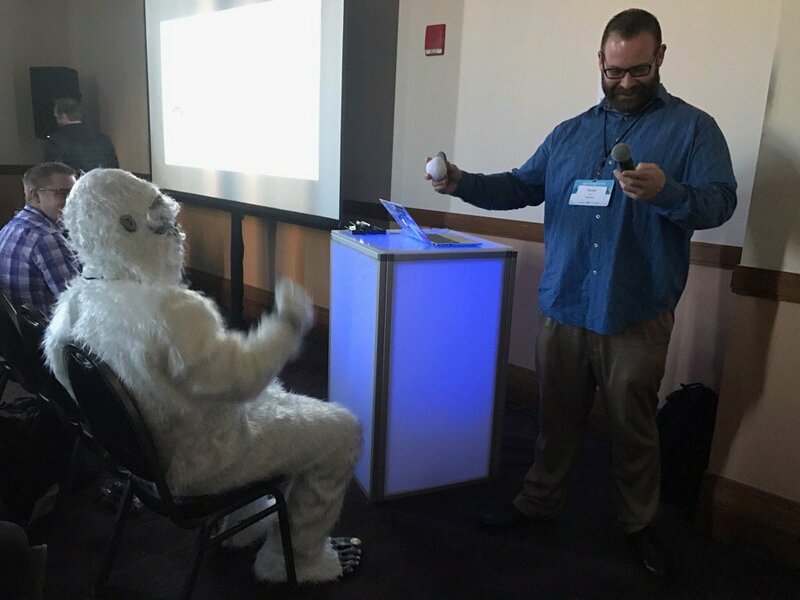 Mark has a lot of experience in outdoor team building activities, so his talk dovetailed perfectly into Snowforce’s day 2 activities on the slopes! Work-life balance is so important, kudos to Snowforce for incorporating this into the conference. 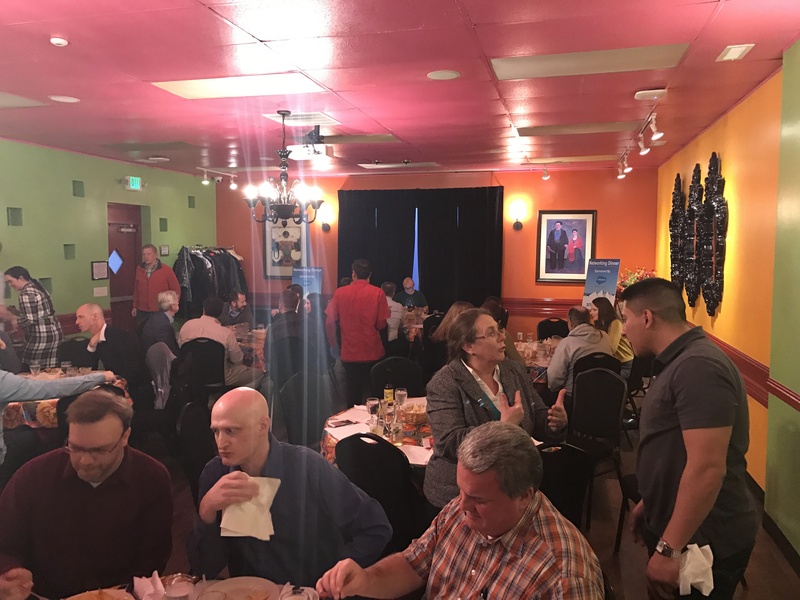 There was a closing happy hour event, a great opportunity to connect virtual relationships to the person in real life and discuss what we learned that day. It was also a chance to assemble a large group of us to grab dinner. Dinner presented a new opportunity exchange life stories which add whole new dimensions of depth to business relationships. Everyone has an amazing story when given the chance to share it. The second day is an entirely different experience. This is what puts the “Snow” in Snowforce. Conference attendees meet up at the Solitude Mountain Resort and decide how to spend the day. There is a lodge provided as home base with food, drinks, and space for hanging out. Groups of people form organically for all types of snow activities from here. I chose to try snowshoeing for the first time with a few other people, which proved to be a very rewarding experience. Sun, snow, and majestic scenery set the stage for a challenging, shared experience for us to connect through. There are a lot of people I’d like to give a shout out to for making Snowforce 2017 such a wonderful experience. But rather than risk missing some folks, I’m just going to say if you are reading this, then you know who you are. Thank you! 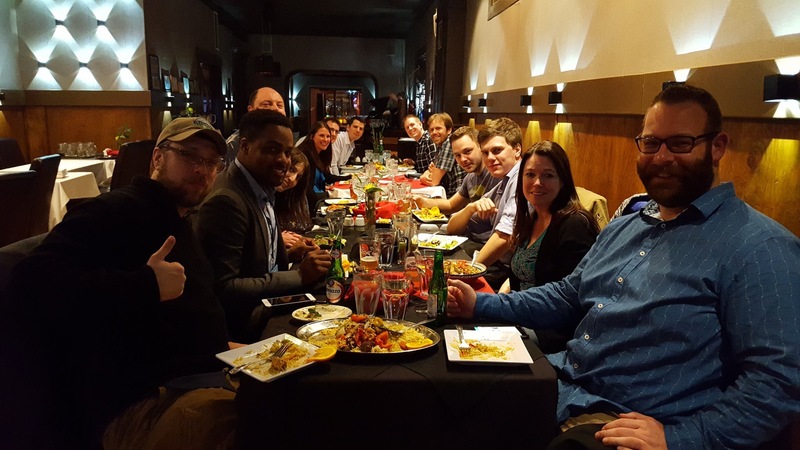 This entry was posted in snowforce and tagged salesforce, snowforce by Daniel Peter. Bookmark the permalink.